Does Dario charge sales tax? DarioHealth sells medical products, which generally are not subject to sales tax. However, residents of Washington state and Pennsylvania should note that sales or use tax is due on certain purchases. If you are a resident of Washington state you are required to file a use tax return when sales tax is not paid at the time of purchase. This message is required under the Revised Code of Washington 82.13.020(2)(a)(i). If you are a resident of Pennsylvania, sales or use tax may be due in connection with the purchase and delivery of tangible personal property to Pennsylvania individuals and businesses. In Pennsylvania, the purchaser is required to file a use tax return if tax is due in connection with the purchase and delivery in the Commonwealth. This notice is required pursuant to the provisions of the Tax Reform Code of 1971. 72 P.S. § 7213.2. Dario on Subscription – how does it work? 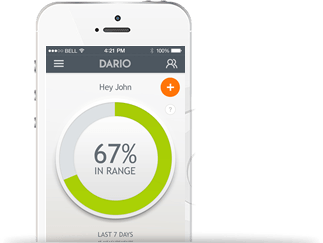 With a Dario subscription plan your test strips are automatically delivered to your doorstep as per your subscription agreement. Plans may be cancelled at any time prior to the next order renewal fulfillment and payment. Once the order renewal on your subscription plan has been processed, however, it cannot be cancelled or returned for a refund. To cancel your subscription plan, please log into your Dario Store account or call the Dario Customer Care Team at 1-800-895-5921, Monday-Friday, 9AM-5PM Eastern. 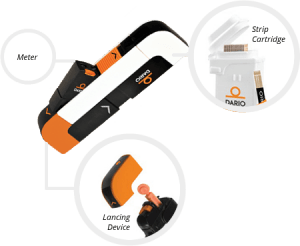 Dario is starting to partner with several third-party fulfillment centers that can take your insurance. Just follow this link (https://mydario.com/is-this-covered-by-insurance/) and someone will reach out to you and let you know if the costs of your Dario supplies are covered. If you have more questions, please call us at 1-800-895-5921. For questions regarding the set up and use of your Dario Blood Glucose Monitoring System, orders, or other technical support issues, please contact our Customer Service Center at +44 8000 488 140, Monday – Friday, 11AM – 7PM Eastern.